This story was originally published in the fourth edition of The Lion’s Tale (February 6th, 2018). Most students see the yearbook as a large, colorful memory book. For the students who create the book, the yearbook is much more. Senior Aleena Voorhees said she has learned work ethic and communication. Senior Danny Sanchez said that yearbook has helped him in a multitude of ways–not only as a student, but as a person, as well. “Yearbook has taught me a lot of how to be a better person in general, learning how to deal with people that normally you wouldn’t have to deal with and coming out with a positive relationship in the end,” Sanchez said. Senior Brittany Watley said yearbook builds a sense of family. According to senior Megan Handler, yearbook has helped her get into the business mindset. Voorhees says that yearbook demanded her to be a leader. 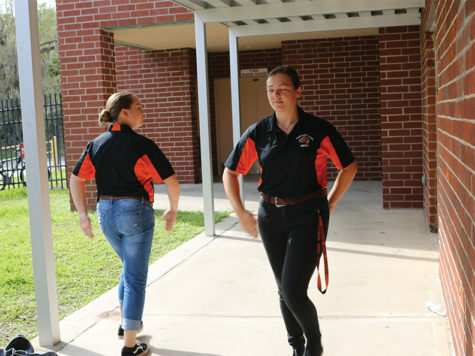 “Being in yearbook had taught me about how to be assertive when talking to your staff, or getting your voice heard within the community,” Voorhees said. Sanchez said it taught him how to keep track of his work. 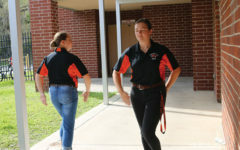 “Yearbook is a good course to take, because not only do you get to create this book that not only documents the history of the school, but of that year in general,” Sanchez said. The Oviedian staff has been around for 81 years, according to Voorhees, and the creation process of the book hasn’t changed much. “We start figuring out what the theme will be in early July, when we go to a camp specifically for that,” Voorhees said. Handler stated that the editors go to multiple camps and workshops to determine what the theme will be, and complete overall brainstorming for the book. “We start looking at magazines and other photo-type books to see what we think looks good, and what direction we want to take, whether it be a lighthearted theme or a more controversial theme,” Handler said. The stress of being on the yearbook staff varies from person to person, according to Sanchez. Voorhees stated that she rates the stress at a seven. With the hustle and bustle of getting the book done, sometimes mistakes are made.